Wed., 22 May - Tue., 11 Jun. Sat., 19 Oct. - Tue., 5 Nov.
Wed., 12 Jun. - Thu., 27 Jun. Tue., 7 Jan. - Sun., 23 Feb. Thu., 2 Jan. - Thu., 16 Jan. 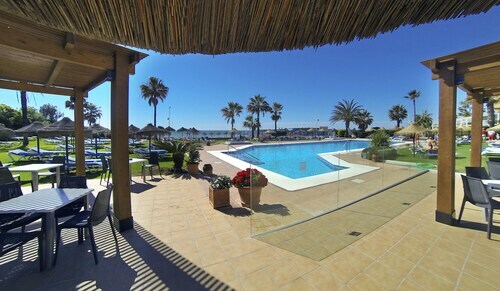 Located in Churriana, this hotel is 0.3 mi (0.5 km) from Malaga Airport Museum and within 3 mi (5 km) of Los Alamos Beach and Los Alamos. Jose Maria Martin Carpena Arena and Parador Malaga Golf Club are also within 3 mi (5 km). This family-friendly Malaga vacation home is located in the mountains, within 3 mi (5 km) of Parador Malaga Golf Club, Los Alamos Beach and Los Alamos. Molino del Inca and Malaga Airport Museum are also within 3 mi (5 km). Located in Churriana, this historic property is within 3 mi (5 km) of Parador Malaga Golf Club, Los Alamos Beach, and Los Alamos. Malaga Airport Museum and Pablo Ruiz Picasso Cultural Centre are also within 3 mi (5 km). 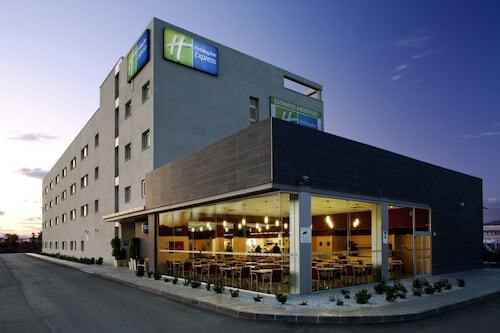 This hotel is located in Malaga (Carretera de Cadiz), near the airport, Jose Maria Martin Carpena Arena, Trade Fair and Congress Center of Malaga, and Malaga Airport Museum. Local attractions also include Los Alamos and Los Alamos Beach. 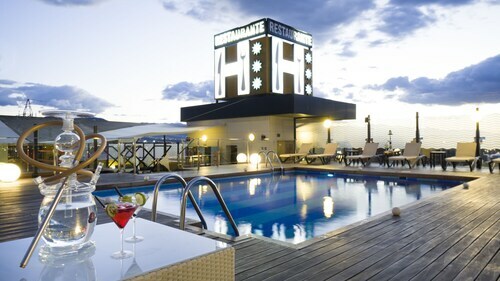 Located in Churriana, this hotel is within 3 mi (5 km) of Jose Maria Martin Carpena Arena, Trade Fair and Congress Center of Malaga, and La Farola - Andalucia Open Future. University of Malaga and Malaga Airport Museum are also within 3 mi (5 km). Puerta Blanca Station is 23 minutes by foot and La Luz - La Paz Station is 24 minutes. Nestled on the beach, this Churriana hotel is 0.1 mi (0.1 km) from Los Alamos Beach and 1.2 mi (2 km) from Los Alamos. Playamar Beach and Parador Malaga Golf Club are also within 3 mi (5 km). Question : How long is the flight from YUL to AGP? Answer : Air Transat can take you there in seven hours. For example, if you were to leave Montreal at 8:40 PM EDT, you would arrive in Malaga at 9:40 AM CEST. Just enough time for you to catch up on your television shows before you touch down (remember, there is a time change of six hours). Answer : You sure can switch your departure or arrival date and you may save yourself some money by changing it. The cheapest day to fly in May is Wednesday. Question : Which airline has the least delays from Montreal to Malaga? Answer : Air Transat leads the way with a 64% on-time rate. Spend as little time in an airport as you have to by flying with Air Transat. Note that if they do have a delay, it usually lasts about an hour. Answer : The cheapest day to fly from Montreal to Malaga is on Wednesday. So, if you would like to save some money on your next holiday look for flights on Wednesday. Question : What is the cheapest airline flying from Montreal to Malaga? Answer : Air Transat is the leader in keeping prices low for their passengers over the next three months. Fares are being booked at just $726, which is a steal when compared to the high-end bookings of $4,537. Question : From Montreal to Malaga, which day is going to have the most flight times? Answer : With two total flight time options, Monday provides the most flexibility from YUL to AGP. Note that the day with the most flight times from Canada is Thursday with 1,265. Answer : As of Apr 22nd, the best day for booking to Malaga (AGP) is May 15th. A ticket for this flight will run you around $773, which is 53% below this route's average price. Very unsatisfied With viajes-urbis. Did not get the lift paid for!